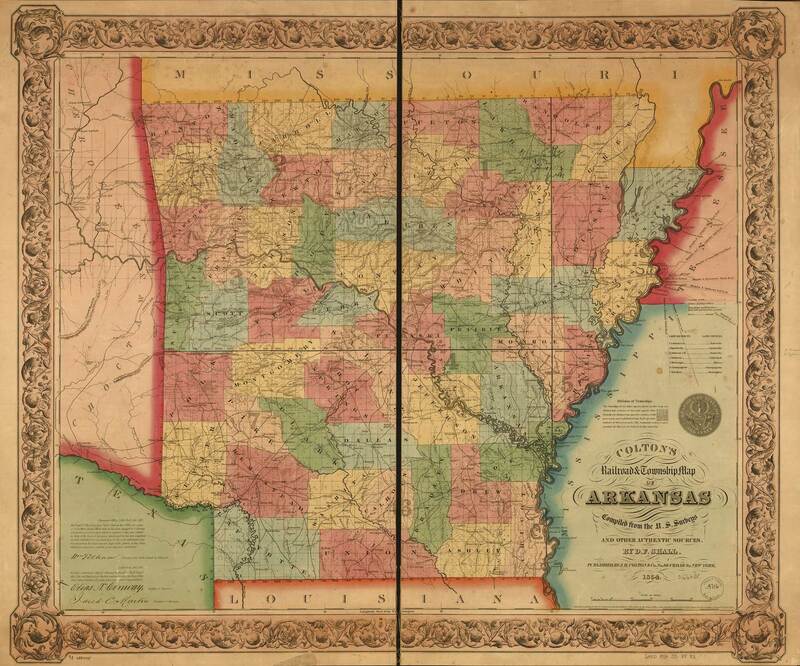 Full Title Colton's Railroad & Township Map Of Arkansas Compiled from the U.S. Surveys And Other Authentic Sources. 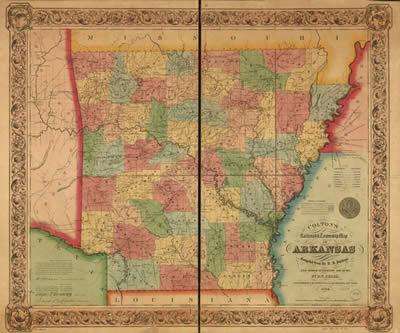 Notes "Cover: Colton's Twonship Map of the State of Arkansas, Johnson and Browning Earliest copy seen is 1858, but copywrited in 1854"